Clarifying the misinformation campaign of the opponent, Conrad reiterated that the party will continue to oppose the Citizenship Amendment Bill in near future. 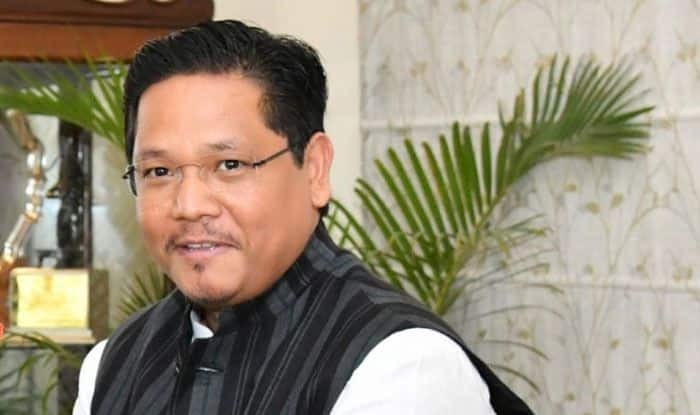 Taking potshots at Congress, Meghalaya Chief Minister Conrad Sangma on Monday said that the Congress party is well qualified from the “University of lies”. “The Congress is aware that they are not coming back to power. So they are saying that NPP will partner with BJP. The Congress party is well qualified from the University of lies, so they will continue to lie to the people,” the National People’s Party (NPP) supremo said. Drumming up support for his party candidate and former Union Minister Agatha Sangma from Tura parliamentary constituency, Conrad said: “Congress is trying to dupe the people with lies that Garo National Council (GNC) is supporting the Congress, and that our leader Nihim D Shira has also joined the Congress. “GNC and Nihim have clarified their stand and their lies have been caught. So they have no other option but to create and propagate wrong notion but I am confident that the people of Garo Hills will not buy their lies,” he said. “Meghalaya was the first state in India to oppose the Bill and raise its objection. We took the initiative to unite different political parties of northeast and made our voice heard in Delhi and ensured that the Bill lapsed in the Rajya Sabha,” he exhorted. He also urged the electorates to make former Chief Minister and Congress candidate Mukul Sangma accountable by asking if during his tenure as Chief Minister he worked with Prime Minister Narendra Modi or not. “He (Mukul) is saying that NPP is working with BJP, yes we are working with the Centre to ensure development, and he did the same. So if NPP-BJP is same, Congress and BJP is also the same,” he said.